It's official: Nokia's 808 PureView is the last of the firm's Symbian handsets. Symbian has been on death row for a while - we reported that Nokia had put it into "maintenance mode" back in October, and at the beginning of 2012 Nokia's then-new boss Stephen Elop said it had "competitive challenges that there was [no way to solve]" - but its demise was only confirmed this week during Nokia's latest earnings announcement. As The Telegraph reports, Nokia had previously said that "Q4 2012 was 'the last meaningful quarter for Symbian'", and this week it confirmed that "The Nokia 808 PureView, a device which showcases our imaging capabilities and which came to market in mid-2012, was the last Symbian device from Nokia." We won't miss it - Symbian's been looking rather dated since the arrival of the iPhone OS in 2007, never mind the latest iOS, Android and Windows Phone variants we have today - but that doesn't mean we won't wave it a fond farewell. We've gone through an awful lot of Symbian phones over the years. Symbian came from another firm we have fond memories of: Psion, whose Organiser computers were powerful and futuristic. Well, they were at the time. In the late 1990s Psion Software joined forces with Nokia, Motorola and Ericsson to create Symbian from its EPOC OS. 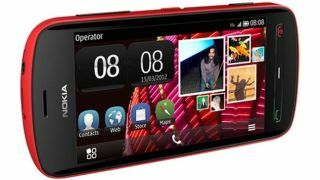 Symbian made multiple products - S60 for Nokia, UIQ for Sony Ericsson - and until the iPhone came along, it powered some of the tastiest handsets the world had ever seen. Remember the Nokia N95 or its Communicator mini-laptop, Sony Ericsson's P990i or W810i? I had one of those latter ones, and at the time having a fully-fledged MP3 WalkMan living inside my phone felt awfully high tech. So what went wrong? It's easy to say "the iPhone did it", but while Apple undoubtedly benefited from Symbian's problems it didn't create them. As Psion's first employee Charles Davis told The Register in 2011, Symbian was plagued by disagreements. "Owner-licensees "went for maximum differentiation in the end - UIQ was completely different to Series 60. This hampered Symbian's ability to innovate, and it stopped the aftermarket. We could have had an App Store 10 or five years before Apple." Symbian grew messy. When Cisco considered adopting it, they discovered that not only did Symbian come in multiple, incompatible versions, but that - as Davis recalled - "we hadn't sorted out backwards compatibility at that time so apps written for Symbian 7 wouldn't work on Symbian 8." Cisco decided to go elsewhere. Despite its many partners Symbian's one true friend was Nokia, especially outside Japan - but Nokia neglected what Stephen Elop would later describe as a "burning platform", failing to take the iPhone threat seriously enough quickly enough, inventing but not shipping devices awfully like today's iPhones and iPads and getting bogged down in bickering and bureaucracy. As one designer told the WSJ: "You were spending more time fighting politics than doing design." Qualcomm's CEO found that Nokia would spend so much time assessing potential opportunities that by the time it made a decision, "the opportunity often just went away." There's a truism that the most dangerous time for a company is when it's really successful, because that's when firms think nothing can touch them. IBM suffered from it in the 80s, Microsoft in the 90s, and Nokia did it in the 2000s. In Nokia's case the disruptor was Apple: not only did it not see the threat coming, but when the iPhone actually arrived it still didn't see it as a real danger. Nokia's focus was on dumbphones, because that's where the money was. It isn't there any more. Whether you see Stephen Elop as Nokia's saviour or the architect of its downfall, it was clear from his "burning platform" memo that Symbian's days were numbered. Writing specifically about Symbian, Elop said it was "an increasingly difficult environment in which to develop" that was hindering Nokia's ability to "take advantage of new hardware platforms. As a result, if we continue like before, we will get further and further behind, while our competitors advance further and further ahead." Elop pulled the trigger, but what really killed Symbian was Nokia's belief that the smartphone space was a war of devices. It wasn't. As Elop explained, "The battle of devices has now become a war of ecosystems, where ecosystems include not only the hardware and software of the device, but developers, applications, ecommerce, advertising, search, social applications, location-based services, unified communications and many other things. Our competitors aren't taking our market share with devices; they are taking our market share with an entire ecosystem." In Symbian, Nokia had an OS - but what it didn't have was time to build an ecosystem to rival Apple and Google. Elop believed that building one around Symbian would take more time than Nokia could afford, so he bet on Microsoft's ecosystem instead. It's too early to say whether the move saved Nokia, but it certainly signed Symbian's death warrant.